Do Hedge Funds and Insiders Love ZIOPHARM Oncology Inc. (ZIOP)? ZIOPHARM Oncology Inc. (NASDAQ:ZIOP) was in 6 hedge funds’ portfolio at the end of December. ZIOP investors should pay attention to a decrease in activity from the world’s largest hedge funds in recent months. There were 9 hedge funds in our database with ZIOP holdings at the end of the previous quarter. In the eyes of most shareholders, hedge funds are viewed as slow, outdated investment vehicles of the past. While there are more than 8000 funds in operation at the moment, we at Insider Monkey look at the leaders of this group, around 450 funds. It is estimated that this group oversees the majority of the smart money’s total asset base, and by paying attention to their best stock picks, we have formulated a number of investment strategies that have historically outpaced Mr. Market. Our small-cap hedge fund strategy outpaced the S&P 500 index by 18 percentage points per year for a decade in our back tests, and since we’ve started sharing our picks with our subscribers at the end of August 2012, we have outpaced the S&P 500 index by 24 percentage points in 7 months (see all of our picks from August). Just as integral, positive insider trading sentiment is another way to parse down the stock market universe. There are plenty of incentives for an upper level exec to cut shares of his or her company, but just one, very simple reason why they would behave bullishly. Many empirical studies have demonstrated the impressive potential of this strategy if you know where to look (learn more here). Consequently, it’s important to take a look at the latest action encompassing ZIOPHARM Oncology Inc. (NASDAQ:ZIOP). What does the smart money think about ZIOPHARM Oncology Inc. (NASDAQ:ZIOP)? At the end of the fourth quarter, a total of 6 of the hedge funds we track were bullish in this stock, a change of -33% from the third quarter. With hedge funds’ positions undergoing their usual ebb and flow, there exists a select group of noteworthy hedge fund managers who were boosting their stakes meaningfully. According to our comprehensive database, Jacob Gottlieb’s Visium Asset Management had the largest position in ZIOPHARM Oncology Inc. (NASDAQ:ZIOP), worth close to $3.4 million, comprising 0.1% of its total 13F portfolio. On Visium Asset Management’s heels is Julian Baker and Felix Baker of Baker Bros. Advisors, with a $1.1 million position; the fund has less than 0.1%% of its 13F portfolio invested in the stock. 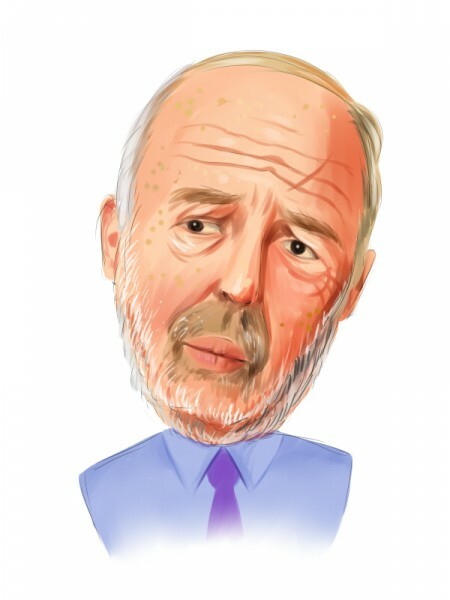 Other hedge funds that hold long positions include Jim Simons’s Renaissance Technologies, and Cliff Asness’s AQR Capital Management. Since ZIOPHARM Oncology Inc. (NASDAQ:ZIOP) has witnessed a declination in interest from the entirety of the hedge funds we track, it’s easy to see that there lies a certain “tier” of fund managers who were dropping their positions entirely heading into 2013. Interestingly, Jay Venkatesen’s Ayer Capital Management dumped the largest position of all the hedgies we track, totaling an estimated $4.4 million in stock.. Richard Driehaus’s fund, Driehaus Capital, also said goodbye to its stock, about $1.9 million worth. These moves are interesting, as total hedge fund interest dropped by 3 funds heading into 2013. How are insiders trading ZIOPHARM Oncology Inc. (NASDAQ:ZIOP)? Insider trading activity, especially when it’s bullish, is most useful when the primary stock in question has experienced transactions within the past half-year. Over the last 180-day time period, ZIOPHARM Oncology Inc. (NASDAQ:ZIOP) has seen 1 unique insiders buying, and zero insider sales (see the details of insider trades here). Let’s also examine hedge fund and insider activity in other stocks similar to ZIOPHARM Oncology Inc. (NASDAQ:ZIOP). These stocks are Targacept , Inc. (NASDAQ:TRGT), ArQule, Inc. (NASDAQ:ARQL), BioDelivery Sciences International, Inc. (NASDAQ:BDSI), Amicus Therapeutics, Inc. (NASDAQ:FOLD), and Pain Therapeutics, Inc. (NASDAQ:PTIE). This group of stocks are in the biotechnology industry and their market caps are closest to ZIOP’s market cap.